At Theriault Chiropractic, our chiropractor treats many patients who are suffering with pain or discomfort due to a Venice car accident injury. Most often they are experiencing whiplash, back pack, neck pain, headaches and migraines because their back, neck and head were injured as a result of the collision. A car accident injury can be the result of damage to the muscles, ligaments, tissues or vertebra in the upper back and neck. Some patients feel immediate symptoms, but for others their injuries may take weeks or months to develop. We recommend that patients see our chiropractor, Dr. Theriault as soon as possible after a car accident so that he can assess the depth of any injuries and prescribe a treatment plan. In addition to whiplash, back pack and neck pain, some patients experience broken bones and other types of trauma as the result of an car accident. The spine may have been jolted out of alignment or a disc could have herniated and caused pressure on the sciatic nerve, leading to intense pain in the lower back and legs. Our Venice chiropractor can also assess these injuries and recommend a course of relief care to reduce any pain you may be experiencing, corrective care to restore mobility and functioning, and wellness care to help you stay healthy and active. Venice chiropractor Dr. Theriault has been providing welcome relief for whiplash, back pack, neck pain, headaches and migraines due to car accident injuries for over thirty years. His post-graduate studies include chiropractic orthopedics, rehabilitation and extremity problems. After his examination and diagnosis, our Venice chiropractor may treat your auto accident injuries with chiropractic care which may include spinal adjustments, spinal decompression, applied kinesiology, physical therapy, or massage therapy. Spinal decompression may be recommended to relieve pressure on any nerves that may have become pinched or pressured by a misalignment of the spine due to your car accident injury. This non-surgical alternative applies a gentle force to the back and neck in order to reduce pressure and allow the discs to move back into position. Once Dr. Theriault has alleviated the car accident injury symptoms of whiplash, back pack and neck pain, he may also prescribe a wellness plan to help keep you feeling your best. He may provide nutritional counseling or advise lifestyle changes to help you rebuild your strength and maintain your vitality. He is a proponent of Designed Clinical Nutrition, which is essentially whole food in a tablet form. And, we are also partners with Standard Process Nutrition, which provides a wide variety of whole food supplements. No matter how minimal you think your auto accident injuries are, it's always best to seek the advice of a medical professional. 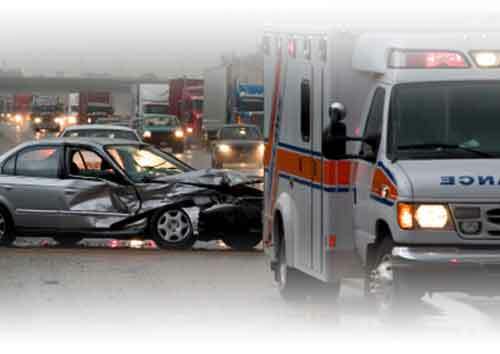 Don't suffer with pain from an auto accident - let us show you the way back to better health and wellness.